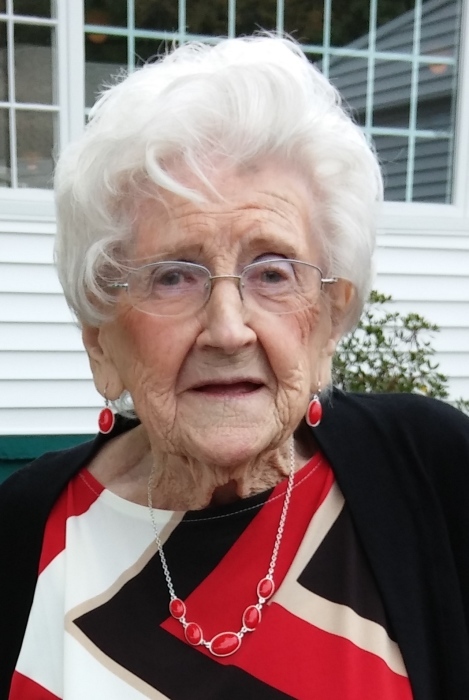 MURRAY, EVELYN E. (BROWN) 98, of Coventry, passed at home surrounded by her loving family on Wednesday, August 22, 2018. She was predeceased by her husband Ronald E. Murray in 2003. Born in Providence, she was a daughter of the late Robert E. and Flora M. (Watson) Brown. Evelyn was employed for many years in the Textile Industry before retiring. She enjoyed bowling, knitting, crocheting, crafting and reading. She was the mother of Joyce E. Larocque (Richard) of Daytona Beach, Florida, Beverly A. Dove (Late Francis), Cynthia L. Altieri-Kemp (Francis), all of Warwick, and Lynn R. Forcier (David) of Coventry. Evelyn is also survived by 10 grandchildren; 18 great-grandchildren; and 6 great-great -grandchildren. Evelyn was the sister of the late Robert, Edward, Wallace Brown, Ruth Kennedy, Florence Ellis, Mary Reynolds, and Dorothy Heilman. A Committal Service will be Saturday, September 1, 2018 at 11:00 am at the RI Veterans Memorial Cemetery, 301 So. County Trail, Exeter, RI. Visiting hours and flowers are respectfully omitted, donations to Beacon Hospice, 1130 Ten Rod Rd., North Kingstown, RI 02852 (checks payable to Amedisys) would be appreciated. Arrangements by IANNOTTI Funeral Home, Coventry.